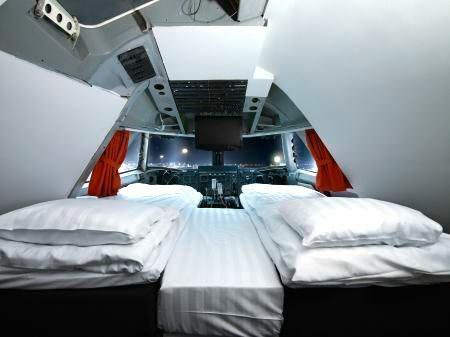 Leave it to Sweden to creatively upgrade an old 1970s airplane into a hostel! With a modern almost futuristic interior, the hostel is nestled right next to the Arlanda airport, the largest in Sweden, located near Stockholm. The hostel has been perfecting the peculiarities since they opened for visitors in early 2009, and visitors have given their stay rave reviews. Take a glimpse into what was considered a hunk of scrap metal to see its transformation. Read the full post by Tiffany on Re-Nest.